Mosquito larvae / eggs in tank? I just discovered a bunch of mosquito eggs in the moss pit in my hermie’s tank. I hadn’t changed the water in the moss pit in 2 days. The other 2 water sources (fresh water & salt water) are changed daily so don’t have this problem. Could there be mosquito eggs in the moist soil in the tank? Do you think I need to scrape the top later, if so how much? I do t visualky see any on the dirt but eeek I don’t want mosquitos everywhere. We had a rogue one in house for 3 days and it was awful, just got rid of it yesterday. Re: Mosquito larvae / eggs in tank? Okay~ a few things to address here. Those are Marimo balls. They really do better if in a fish tank. I do have one in each of my freshwater pools for the crabbies, but I have bubblers and uvb. Mosquitoes only lay eggs in water. A moss pit would consist of moist not wet moss. 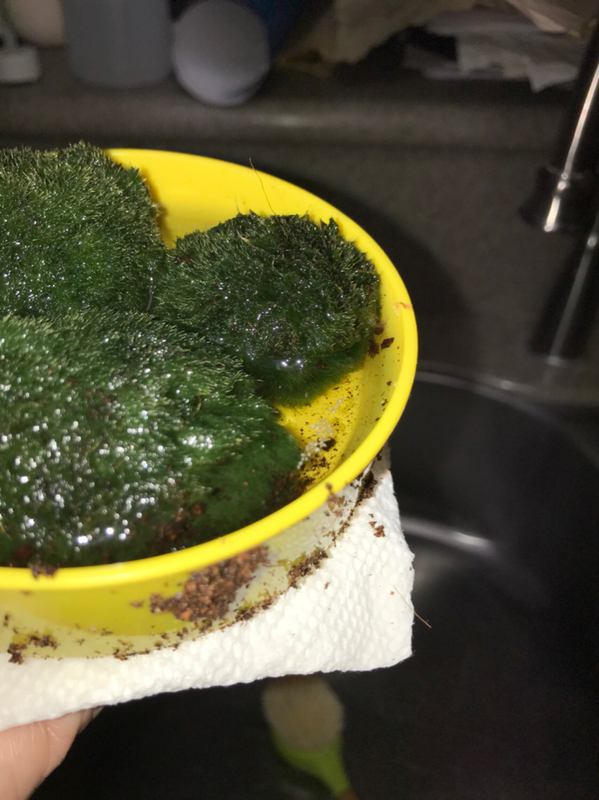 Marimo balls in water do not qualify for a moss pit. I’m sorry. You want sphagnum moss, sheet moss for hermies. I recommend organic; but from the reptile section works too. Hope that helps you! I would put those in your fishtank if you have one~ or return them where you purchased them from. 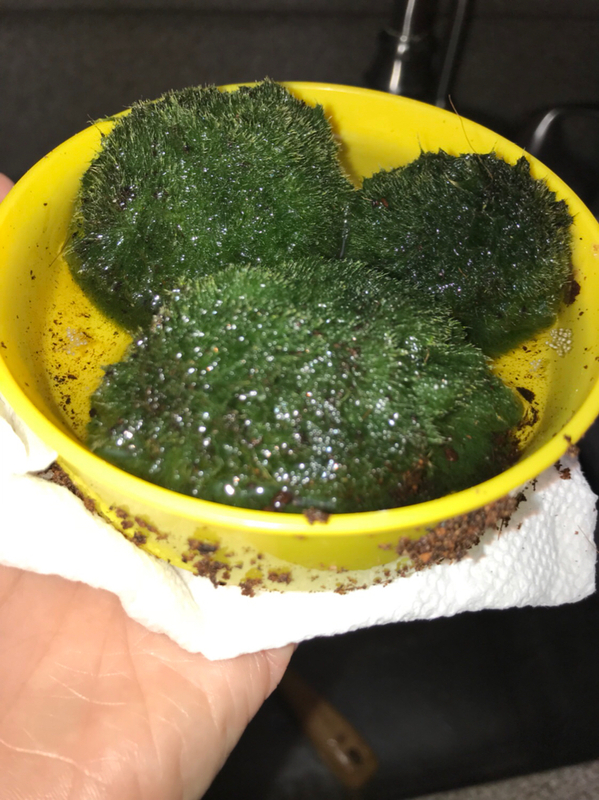 Sorry, I read a thread a while ago about usin Mosimo balls for hermit crabs as a moss pit and thought this was ok. I’ll shift back to the loose moss like you say (I used that before and they enjoyed it). Thanks, I thought mosquitos only laid eggs on water but wasn’t sure as Google gave multiple answers... you know what they say about google though lol. I second what GotButterflies mentioned! No worries. Marimo balls are okay to put in the crabitat, they just don't qualify as a moss pit.